MACGREGORS AND COLQUOUN Fought near Loch Lomond in 1603, the Battle of Glen Fruin left at least 140 men dead and led to an unparalleled punishment against the MacGregors, with their name banned in Scotland for a total of 150 years. The battle was supposedly fought on a large flat piece of ground near Auchingaich with the members of the poorer Clan Gregor pitched against their wealthy and influential Colquhoun neighbours. The two clans had a bad history. 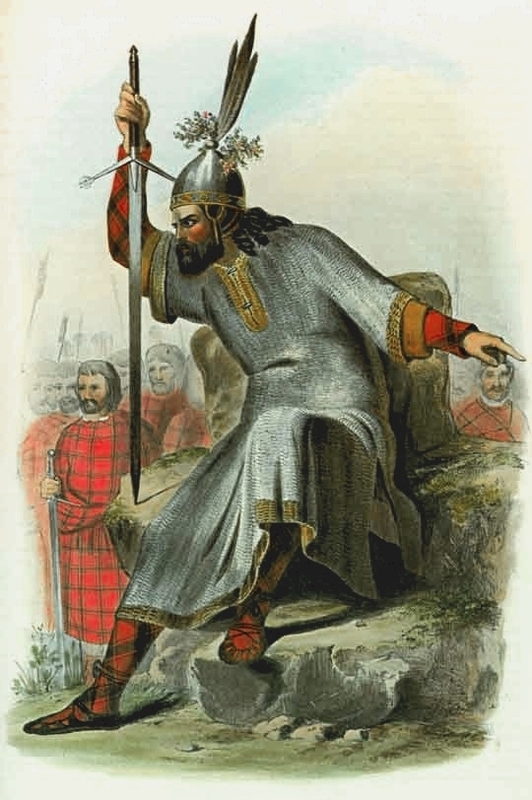 Clan Gregor, which was stripped of much of its land by Robert the Bruce, frequently raided their neighbour’s property. Tradition dictates that the battle was sparked after two MacGregor men were refused shelter on Colquhoun land and resorted to sleeping in an outhouse and slaughtering a sheep. After being discovered by the Laird of Luss, they were sentenced to death with their kinsmen mobilising in furious response. Some believe this version of events others argue that the Battle of Glen Fruin began with just another MacGregor raid. Similar plundering expeditions were launched in the weeks before with two Colquhoun men allegedly killed at Glenfinlas a couple of months before. The difference was that on February 7, 1603, the Colquhouns were ready to protect themselves with permission granted by James VI to pursue their foes. The Colquhoun ranks were swelled by men from Dumbarton and Cardross, with the clan marching into the glen with as many as 500 men on foot and 300 on horseback. Clan Gregor had around 350 men ready to fight and showed no mercy for their foes. The MacGregors launched a downhill attack on the Colquhouns, which drove them back in the direction whence they had come, unfortunately for the Colquhouns the second part of the MacGregor force was lying in wait for them there. A fairly commonly accepted figure is that 140 of the Colquhouns and their allies were killed, although some accounts have put the number as high as 200. MacGregors took eighty horses, 600 hundred cows and 800 hundred sheep were taken. Following the bloodshed, James VI, in a bid to dismantle the clan, forced MacGregors – and Gregors – to drop their name or risk punishment by death. A royal warrant was signed by James VI on February 24, 1603, accusing the MacGregors of attacking members of Clan Colquhoun at Glen Fruin “without pitie or compassion” or regard for young or old. Their deeds were “barbarous and horrible” with this “wicked and unhappy” race to be “exterminat and ruttit out”. Less than two months later, around April 3, James VI ruled the name MacGregor should be “altogether abolished” and that all people of the clan should renounce their name and take another, under the pain of death. Around a year later, Alastair of Glenstrae and 11 leading clan figures were hung at the Mercat Cross in Edinburgh, with the leader hoisted above his men before being drawn and quartered. The MacGregor name was restored in 1661 by Charles II but disallowed once more in 1693 by William of Orange. It was not till 1784 (way after Culloden) that the MacGregors were allowed to resume their own name, and were restored to all the rights and privileges of British citizens. 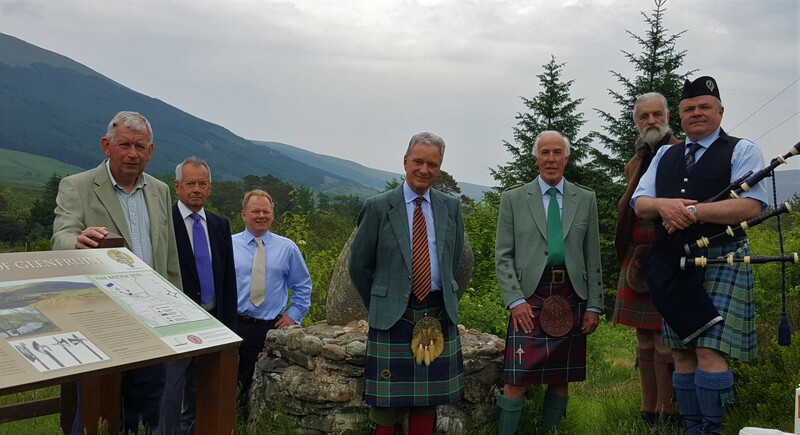 A memorial stone stands in Glen Fruin to mark the Culquhouns that died. So if you are a MacGregor I think you can justly be a wee bit hurt by all of this, after all, all clans raided their neighbours, and aye – at this battle they were vastly outnumbered, but still won, although in reality they lost. 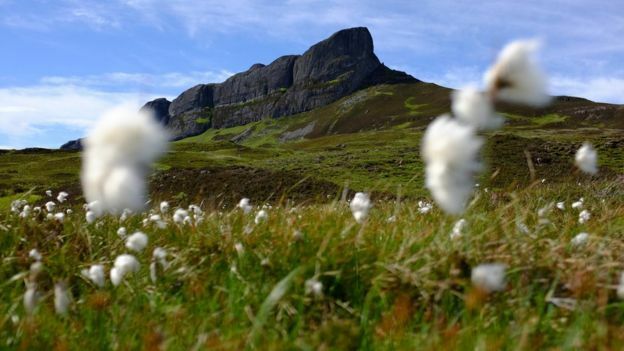 The Eigg Massacre, Isle of Eigg, 1577, Macleods and Macdonalds The entire population of Eigg was wiped out the year before, after the Macleods suffocated to death more than 350 Macdonalds in a cave after lighting a fire at its narrow mouth. It was another bleak slaughter amid the feud of these two clans. The Eigg Massacre was triggered after Macleod men were banished from the island, bound hand and foot and cast adrift in their boat, after insulting a number of young Eigg women. The boat washed up at Dunvegan, the enraged Macleod chief set sail for Eigg with a number of his men to avenge the ill treatment of his kin. The Macdonalds, aware of the approaching Macleods, hid in a large cave, the Cave of Frances, in the south of the island for some time. A watchman was spotted by the Macleods as their boat was preparing to depart following a fruitless search of the island. His footprints were traced back to the cave. The Macdonalds refused to surrender in belief the narrow entrance would be enough to protect them from their enemy. Macleod then lit a large fire of turf and ferns at the entrance of the cave with the smoke suffocatin all those inside.